BEWARE: TRESPASSERS WILL BE TAKEN IN HAND! Avery Madison is enraged! 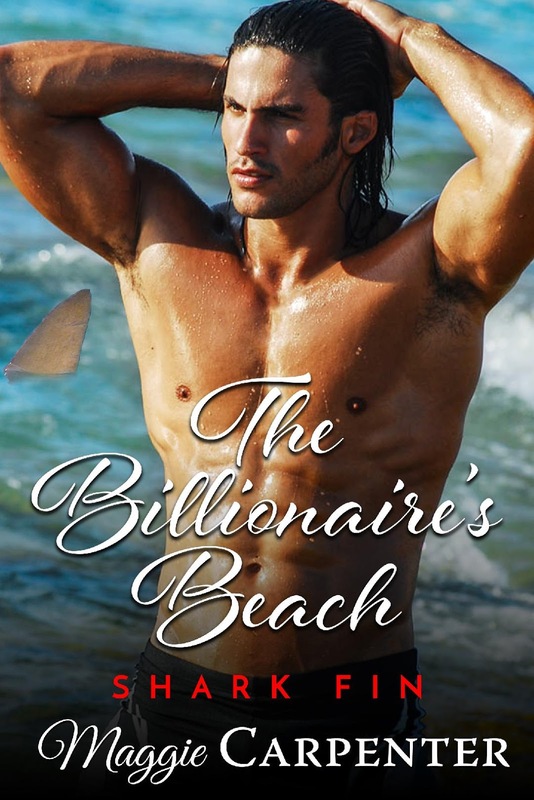 A farm girl from Montana and struggling interior decorator, she has been trespassing on a private beach as payback for a broken promise, but the owner caught her and she’s paid the price. Dominant and disciplinarian Dean Guthrie has been irritated by a young woman disrupting his solitude. Finally catching her he does what comes naturally. He pulls her over his knee. To his surprise when the spanking is over she remains defiant, and storms into the sea to swim away. She doesn't notice the menace lurking in the shallow depths, and it's thanks to his frantic shouts she barely escapes the jaws of the great white shark. As she falls into his arms at the water's edge he suddenly recognizes the dark-haired green-eyed beauty. Months before she'd begged him to look at her ideas for his house. Though he'd agreed and was eager to see her again the portfolio had failed to appear. Who interfered, and why? If you enjoy a creative take-charge alpha male with a hot hand, and a feisty female learning about the joys of surrender, you'll love this riveting suspense romance. Grab your sunscreen and click the link today. A ripple of something indefinable was moving through his body. He’d wronged her, but who was she, and what had he done? As she stormed off a second time, he stared after her in complete disbelief. The bikini-clad, beautiful young woman had been the source of ongoing irritation for many weeks, and he’d done what came naturally. He was a dominant, spanking was as inherent as breathing, but had he acted too quickly? Clearly there was more to the story, but why hadn’t she told him? He thought about chasing after her but changed his mind. She was in a state, and he wasn’t feeling particularly happy either. Striding across to the staircase he punched the code into the gate keypad and started up the steps. His habit was to take them two at a time for exercise. He’d been tempted to put in an electric chair, but he liked the forced workout. She had a knock-out body, but how could he recognize any woman wearing such large dark sunglasses? Any time he’d studied her through the telescope they’d covered her face. Had it been purposeful? Had she deliberately been hiding behind them so he wouldn’t recognize her? He couldn’t abide sand in his house, and before entering he made it a point to clean it off with a brush he kept hanging on the railing. As he swept his feet and legs he continued pondering, and moving inside he headed up the stairs to his bedroom. As he dropped his clothes into the bathroom hamper, and washed his hands and face, the young woman’s attitude and words continued to weigh on his mind. Quickly dressing in comfortable slacks and a thin v-neck cashmere sweater, he moved swiftly back to the kitchen and filled a mug with coffee from his built-in coffeemaker. Curious to see if she’d left he carried the hot drink outside to the deck, and walking to the railing he stared down at his beach. To his surprise he saw her standing thigh-deep in the water. The baseball cap was gone, and her long dark hair was flirting with the wind. The sun, huge and low on the horizon, was sending a myriad of colors across the sky and sea. The sight was breathtaking. It was a photograph waiting to be taken. Hurrying inside he grabbed his phone, moved quickly back to the railing and framed the shot. He snapped the picture, and as he stared at the captured image he felt a strange stirring in his soul. He glanced down at her, and to his surprise she turned around and gazed up at him. Had she felt his eyes on her? The moment felt almost ethereal, and impulsively he raised his hand in a simple wave. As she briefly lifted hers in response, he wanted to run down the stairs and pull her out of the water. Without those damn sunglasses he’d know her, he was sure of it, but she had already turned back to face the sea and was moving slowly forward. “I’m going to have this printed out,” he mumbled looking back at the photograph, then seeing what looked like a speck of dirt on the glass he brushed it aside. A shard of panic sliced through his being. It was a shark’s fin, and it was perilously close to shore. It was perilously close to her.